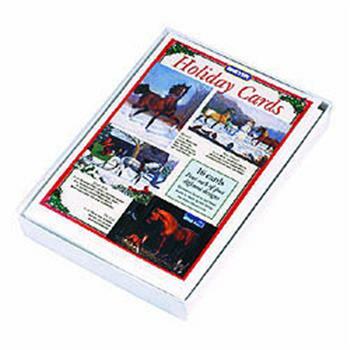 Breyer 2001 Holiday Cards Retiring end of 2001 Item: 702801 Brand new from Breyer! Holiday cards illustrated by top equine artist Sheila Xochtil Barnes. Four different styles featuring Breyer models in beautiful, seasonal themes with messages of joy and peace. Each box contains four cards each of four different styles.